Linley Cornish is a member of the Learning & Teaching team within the School of Education. She specialises in learning and teaching. General units about learning and teaching - how students learn; practical strategies that help students to learn; using the Teaching Cycle to plan, teach and assess; gifted and talented education; and mixed-age teaching. Multi-age classrooms; effective teaching and learning; teacher education; gifted and talented education; rural education. Evaluation and comparison of teacher and parent views of multi-grade classes (composite and staged), issues in rural schooling (such as transition to leadership, support for beginning teachers). Reading, C., Harris, J., Connelly, J. and Cornish, L. (2007) Professional Learning Portfolio for Teaching. Armidale, NSW: School of Education, University of New England. Lloyd, L. (2001) Multigrade Attachment Training Program for Senior Professionals at the University of New England — Stage One Report. Armidale: UNE. 49 pp. Laird, D., Maxwell, T., Lloyd, L. & Halloway, W. (2001) Report to the Director, Ministry of Health and Education, Royal Government of Bhutan, on the Bhutan Multigrade Attachment Program in Small Rural Primary Schools in New South Wales, Australia — Phase 1 and Phase 2. Armidale: UNE. 129 pp. Lloyd, L. (2004) Communication skills: Concept mapping. In Graduate Attribute Resource Guide; Integrating graduate attributes into undergraduate curricula (pp.60–63). Armidale: University of New England. Cornish, L. (2010) Multi-grade Teaching in Australia. Proceedings of Southern African Conference on Multigrade Education, Wellington/Paarl, 22–24 March. Cornish, L. (2010) Rural principals: Moving on, moving up. Leadership in Focus 17, Autumn, 19–21. Cornish, L. (2009) Embedding metacognition in teaching and learning. 34th International Conference on Improving University Teaching: Navigating Innovations in Teaching and Learning. Vancouver, 13–17 July. Published with other refereed papers on CD. Cornish, L. (2009) Teaching the world's children: Theory and practice in mixed-grade classes. ISFIRE (First International Symposium for Innovation in Rural Education), 11–14 February. Innovation for Equity in Rural Education, Symposium Proceedings (pp.117–126). ISBN 9781921208362. SiMERR (National Centre of Science, Information and Communication Technology, and Mathematics Education for Rural and Regional Australia). Armidale: University of New England. Cornish, L. (2009) Situating practice in rural schools: Transience, adaptation and opportunity. ISFIRE (First International Symposium for Innovation in Rural Education), 11–14 February. Innovation for Equity in Rural Education, Symposium Proceedings (pp.108–116). ISBN 9781921208362. SiMERR (National Centre of Science, Information and Communication Technology, and Mathematics Education for Rural and Regional Australia). Armidale: University of New England. Merrotsy, P., Cornish, L., Smith, H.J and Smith, S. (2008) Gifted and Talented: Kick 'em while they're down? Professional Educator 7(3), 38–41. ISSN 1447-3607. Australian Council for Educational Research. Cornish, L. (2007) Creative teaching, effective learning in higher education. 32nd international conference on Improving University Teaching: The Creative Campus, Jaén, Spain, 4–7 July. Published with other refereed papers on CD. Cornish, L., Kite, G. and Cecil, P. (2006) Promoting Thinking in a Rural Classroom with ICT and 'Learning to Learn' Strategies. Australian Computers in Education conference (acec), Cairns, 2–4 October. Published with other refereed papers on CD. Reading, C., Cornish, L. and Belford, S. (2006) Measuring the 'value-added' contribution of embedding ICT in learning. Australian Computers in Education conference (acec), Cairns, 2–4 October. Published with other refereed papers on CD. Lloyd, L. (2004) Parents' Views of Composite (Multi-grade) Classes in an Australian Primary School. International Conference on Multi-grade Teaching for All: Turning Biases into Benefits, 8–11 September, Bangkok, Thailand. Proceedings pp. 90–7. Lloyd, L. (2002) Multiage Classes: What research tells us about their suitability for rural schools. Education in Rural Australia 12(2), 1–14. ISSN 1036–0026. Lloyd, L. (1998) Achievement in a Multiage Class. Free to Learn 4(1), 2–4. Lloyd, L. (1997) Reflections on Recent Schooling Experiences in California. The Education Network 11, 23–31. Lloyd, L. (1994) Review of D. Lazear (1992) Seven Ways of Teaching: The Artistry of Teaching with Multiple Intelligences, Melbourne: Hawker Brownlow Education; in TalentEd No.46, Winter, 6–7. Lloyd, L. (1982) 'Once a Jolly Swagman', BBC Radio Series The Web of Language. 2003 (November) Teacher Education at UNE – a personal view. Smith's Weekly. 2003 (October) Ten Good Reasons to Study Teacher Education at UNE. The Armidale Express (two-page invited article as part of the celebrations marking 75 years of teacher education in Armidale), pp. 14, 23. Cornish, L. (2014) Teaching in a volatile, uncertain, complex and ambiguous (VUCA) world: The challenge of developing reflective practitioners. 34th conference of the International Society for Teacher Education, Antalya, Turkey, 22–25 April. Cornish, L. (2013) The struggle to 'practise what you preach' in teacher education. 33rd conference of the International Society for Teacher Education, Hong Kong, 27–31 May. Cornish, L. (2012) Teacher education for multi-grade teaching. 32nd conference of the International Society for Teacher Education, Paro, Bhutan, 21–25 May. Nguyen, P., Minichiello, V. and Cornish, L. (2012) Management and leadership: Views from Rectors, Vice-Rectors and Academic staff in Vietnamese Higher Education Institutions. Australian Association for Research in Education and Asia Pacific Educational Research Association, Sydney, 2–6 December. Cornish, L. (2010) Why multi-class education can be good education. Conference on Education in Fiji — Achievements, Challenges and Issues. Fiji National University, 22–24 November. Cornish, L. (2010) Multi-grade Teaching in Australia. Keynote address at Southern African Conference on Multigrade Education. Wellington/Paarl, 22–24 March. Cornish, L. and Jenkins, K. (2009) Online collaborative group work. Showcase of Teaching and Learning (ALTC funded Promoting Excellence Initiative), UNE, 17 August. Cornish, L., Graham, L., Hardy, J., Jenkins, K., Miller, J., Noone, G., Paterson, D., Reitano, P. and Taylor, N. (2009) Imagining the Rural Teaching Experience. Presentation at the 7th International Conference on Imagination and Education: Imagination — The Source of Creativity and Invention: Build a better world by thinking of the possible, not just the actual. IERG: Imaginative Education Research Group. Vancouver, 15–18 July. Cornish, L., Jenkins, K. and Stewart, C. (2009) (Mis)adventures in cyberspace: High and lows of teaching large cohorts in distance education. 10th Sakai conference, Boston, 8–10 July. Cornish, L. (2009) Teaching the world's children: Theory and practice in mixed-grade classes. ISFIRE (First International Symposium for Innovation in Rural Education), 11–14 February. Cornish, L. (2009) Situating practice in rural schools: Transience, adaptation and opportunity. ISFIRE (First International Symposium for Innovation in Rural Education), 11–14 February. Cornish, L. (2008) School of Education workshop on aligning learning outcomes with assessment tasks, November. Cornish, L. (2008) Teaching and Learning Centre workshop on Managing Large Classes, School of Education, UNE, 16 September. Cornish, L. (2008) Graphic organisers and higher-order thinking. Gifted and Talented Conference, Potential to Performance: Celebrating Innovations, 2–3 May 2008. Armidale: UNE. Cornish, L. (2008) Theory and practice in mixed-grade classrooms. Department of Education and Training (DET) Small Schools conference, Tamworth, 27–28 April. Cornish, L. (2008) Using graphic organisers as learning tools. Department of Education and Training (DET) Small Schools conference, Tamworth, 27–28 April. Cornish, L. (2007) Creative teaching, effective learning in higher education. 32nd international conference on Improving University Teaching: The Creative Campus, Jaén, Spain, 4–7 July. Cornish, L. (2007) Professional Learning presentation, Drummond Memorial School, February. Cornish, L. (2007) Mixed-grade classes and individual differences. Gifted and Talented Conference, Links to Learning: Potential into Performance, 16–17 February. Armidale: UNE. Cornish, L. (2007) Presentation, Drummond Memorial School, School Development Day, January. Cornish, L., Kite, G. and Cecil, P. (2006) Promoting Thinking in a Rural Classroom with ICT and 'Learning to Learn' Strategies. Australian Computers in Education conference (acec), Cairns, 2–4 October. Reading, C., Cornish, L. and Belford, S. (2006) Measuring the 'value-added' contribution of embedding ICT in learning. Australian Computers in Education conference (acec), Cairns, 2–4 October. Reading, C., Lloyd, L. and Belford, S. (2006) Embedding ICT in Learning (EiL): Collaborative Partnerships for Rural Schools. PICTL Forum (Partnerships in ICT Learning), Canberra, April. McConaghy, C., Lloyd, L., Hardy, J. and Jenkins, K. (2005) Bush Tracks: Journeys in the development of rural pedagogies. Paper presented at the Annual Meeting of Australian Association for Research in Education (AARE), 27 Nov–1 December, Parramatta, Australia. Bush Tracks Research Collective (Cathryn McConaghy, Lorraine Graham, Di Bloomfield, Judith Miller, David Paterson, Linley Lloyd, Kathy Jenkins, Joy Hardy, Neil Taylor, Genevieve Noone) (2005) Bush Tracks: Exploring Rural Teaching Transitions in Pedagogy and Leadership. Paper presented at the Annual Meeting of Australian Research in Education (AARE), 27 Nov–1 December, Parramatta, Australia. Lloyd, L. (2005) Presentation to staff of Sandon Public School, on mixed-age teaching and stage-based classes, October. Lloyd, L. (2005) Parents' Views of Composite Classes. School of Education seminar series, October. Boyd, J., Hopwood, L., Jenkins, K., Lloyd, L., Maurer, J., Merrotsy, P. and Smith, S. (2005) Achieving Quality Outcomes through Assessment: Approaches taken by the Learning and Teaching Team. 3rd Symposium on Teaching and Learning, FEHPS, UNE, September. Lloyd, L. (2005) Invited seminar to staff plus lecture to students and staff on mixed-age teaching, School of Teacher Education, Charles Sturt University, August. Lloyd, L. (2005) Research Related to Mixed-Age Classes. Australian Association of Multi-age Education conference, Brisbane, July. Lloyd, L. (2005) Graphic Organisers and Higher-Order Thinking. Australian Association of Multi-age Education conference, Brisbane, July. Lloyd, L. and Pendreigh, H. (2005) Literacy standards of preservice teachers. HERDSA conference on Higher Education in a Changing World, University of Western Sydney, July. Lloyd, L. (2005) The case for multi-age classrooms. Presentation at Research Snapshots: Learning and Teaching mini conference. School of Education, UNE, April. Lloyd, L. (2004) Parents' Views of Composite (Multi-grade) Classes in an Australian Primary School. International Conference on Multi-grade Teaching for All: Turning Biases into Benefits, 8–11 September, Bangkok, Thailand. McConaghy, C., Paterson, D., Miller, J., Hardy, J., Lloyd, L., Graham, L., Jenkins, K., Taylor, N., Corrigan, G., Noone, G. and Bloomfield, D. (2004) Bush tracks: a study of rural teaching transitions. Presentation at Faculty Research Day, September. Lloyd, L. (2004) Invited presentation to staff at The Armidale School regarding Quality Teaching Awards of the Australian College of Educators, May. Reading, C.E., Maurer, B.J. and Lloyd, L. (2004) Electronic professional portfolios for pre-service teachers. e-Portfolio Australia: The First Australian Conference Dedicated to Digital Portfolios, Melbourne. Lloyd, L. (2004) School Development Day, Cronulla High School: Graphic Organisers and Bloom's Taxonomy, April. Lloyd, L. (2004) Professional Development Workshops for Catholic Education Office on Differentiating the Curriculum (18 March, Ballina; 19 March, Coffs Harbour). Lloyd, L. (2004) Presentation on Learning Styles to Mentor Training Program for Academic Mentors, Duval College, February. Lloyd, L. (2003) Being a 'Reflective Practitioner' — How my beliefs about learning have influenced my teaching (and vice versa). Keynote address to Honouring our Tertiary Teaching conference. Armidale: University of New England, September. Lloyd, L. (2003) School Development Day, Cronulla High School: Differentiating the Curriculum, July. Lloyd, L. (2003) Presentation on Learning Styles to Duval College Tutor Training Program, February. Lloyd, L. (2002) What We Know about Multiage Classes. Conference on Teaching and Learning in Jenaplan Schools, for German Jenaplan teachers, hosted by the Jenaplan Association of The Netherlands, Assen, 2–6 September. Jenkins, K. and Lloyd, L. (2002) Beginning Teachers: When Reality Bites. Paper presented at ‘Challenging Futures? Changing Agendas in Teacher Education’. Conference hosted by School of Education, UNE and Change and Education Research Group (CERG), UTS, 3–7 February. Lloyd, L. (2002) Multi-Age Classes: Philosophy and Practice. Keynote given at ‘Embracing Diversity’ — the one-day pre-conference workshop as part of ‘Challenging Futures? Changing Agendas in Teacher Education’. Conference hosted by School of Education, UNE and Change and Education Research Group (CERG), UTS, 3–7 February. Jenkins, K. & Lloyd, L. (2001) Partnerships, Reflection, Assessment, and Teacher Development: Attempts to Facilitate Teacher Development through Assessment. HERDSA conference, University of Newcastle, 8–11 July. Lloyd, L. (2001) Multiage Classes: What research tells us about their suitability for rural schools. Society for the Preservation of Education in Rural Australia, Charles Sturt University, Wagga Wagga, 8–11 July. Lloyd, L. (2001) School Development Day presentation (interactive three-hour workshop) to a consortium of local schools in Tenterfield. Focus of day: Tenterfield Schools Quality Teaching and Learning; Student Educators not Subject Teachers. April. Lloyd, L. (1999) Keynote address for Exploring Individual Potential conference, The Armidale School, June. Conference cancelled at last minute. 2011 An Exploratory Study: Challenges to achieving quality basic education in Fiji. Rishi Chand, Master of Arts in Education, University of South Pacific, January. 1999 Reading Preferences of Grade 3 and 4 Accelerated Readers. Chérie Ashby, B Ed (Primary) (Honours), University of New England, September. 2014 Amanda Harper, M Ed (Research). The development of empathy in gifted children, through the lens of Dąbrowski's Theory of Positive Disintegration. 2014 Steve Martin, PhD. Preparing teachers to program philosophy/critical thinking in subject English to explore indicators of giftedness in secondary students in Western Australia. 2014 Carol Ryan, Ed D. Emotional Intelligence Scaffolding to Improve Learning (EISIL): Students' and teachers' perceptions. 2014 Mufutau Afolabi Nasiru, M Ed (Research). An exploration of behaviour management strategies used by teachers in Thailand schools. 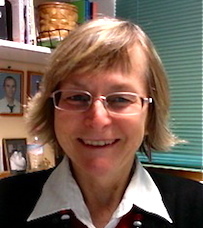 2013 Michelle Bannister-Tyrrell, PhD. The engagement of metacognition during critical literacy discourse by young talented readers. 2011 Wahab Ali, PhD. Preparing teachers for multi-class: A case study from Fiji. 1997 UNE Internal Research Grant, $3500. Qualitative study on the experiences of high ability children in multi-age classes (Queensland). 2001 Planning Committee for international teacher education conference ‘Challenging Futures? Changing Agendas in Teacher Education’ sponsored jointly by the School of Education, UNE and the Change and Education Research Group (CERG) at University of Technology, Sydney. 1997–2000: initial organiser and ongoing participant in 'Beyond the Line', an annual student excursion to remote schools.